Unconscious bias happens by our brains making incredibly quick judgments and assessments of people and situations without us realizing. These biases are influenced by our background, cultural environment and personal experiences. We may not even be aware of these views and opinions, or be aware of their full impact and implications. Unconscious bias is pervasive, ever-present and invisible. It effects the way that people interact with the law. It reinforces the stereotypes that prevent marginalized and under-represented communities from accessing justice. How do we tackle the injustice that flows from the impact of our unconscious bias? This workshop will provide practical tools to identify unconscious biases, assess their potential effect, and suggest some strategies to manage their impact in the litigation process. Ignoring unconscious bias not does make it go away. The key is in identifying and addressing it outright. We provide a process for doing so. We will be drawing on the research of Daniel Kahneman in his book Thinking Fast and Slow and the trial advocacy work of Professor Gary Gilden of Penn State University's Dickson Law School. The brain research on how people make decisions is fascinating but also sobering. There are automatic responses that people - including lawyers and the judiciary - have that effect how we make decisions. Both Kahneman and Gilden provide insight into the impact of System 1 and the System 2 brains. System 1 is the brain's fast, automatic, intuitive approach. System 2 is the mind's slower analytical mode. System 2 is where reason (the basic tenant of our legal system) dominates. However, System 1 had been found to be faster and more influential than System 2 in legal decision-making contexts. We will suggest methods for addressing the challenge of unconscious bias, professionally and practically, both for self-analysis and for case analysis. 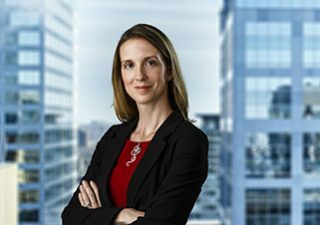 Stephanie Lewis is an employment law lawyer and litigator at Nelligan O’Brien Payne LLP. Stephanie was driven to practice employment law by the belief that everyone is entitled to a safe and healthy workplace and that such workplaces are improved through diversity and dignified treatment. Stephanie represents both employees and employers. Her practice involves providing advice on every aspect of the employment relationship, including hiring, employee terminations, discipline, accommodation, human rights and occupational health and safety (including workplace violence and harassment). She also conducts workplace investigations where she proposes creative solutions to address or solve workplace inequalities. Prior to her appointment at the Immigration and Refugee Board, Juliet Knapton was a Legal Educator teaching at the University of Ottawa’s Faculty of Law, at Ryerson University’s Law Practice Program and a Director and Instructor of a private advocacy training organization. She spent several years working overseas in Colombia and Pakistan before returning to Canada and entering into private legal practice. As a civil litigator, she acted on behalf of both plaintiffs and defendants at various levels of trial and appellate courts and tribunals. She is a trained mediator and workplace investigator. She believes that law needs feminism because we can do better.